The ever popular Craig-y-Don, situated in the most central position of the promenade, overlooking the Irish sea and close to all major attractions. Open all year round, we cater for coach parties, families, senior citizens and couples. 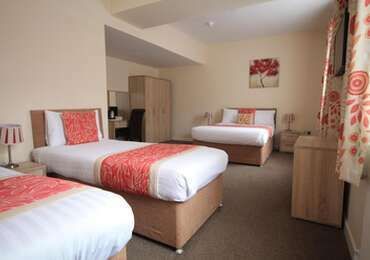 All rooms and public areas have been refurbished in recent years. Our self service restaurant offers hot buffet breakfast and three-course evening meals home cooked by our resident chef. There is regular entertainment, bingo and cabaret featuring some of Blackpools best artists in our cabaret lounge which offers great sea views and beautiful sunsets. Our games room boasts XBox Kinnect, PS4 and pool table and childrens entertainment is available during the school holidays. We also have a TV lounge, patio garden and a lift to all floors. The Craig y Don has it all. Book direct with the hotel for the best prices either on our website or over the phone, on line travel agents charge up to £10 a night more. 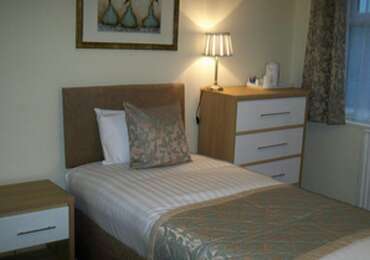 Family room for 2 adults and 2 children, 1 double and 2 single beds with a walk in shower or a bath. Flat screen TV, complimentary tea/coffee. 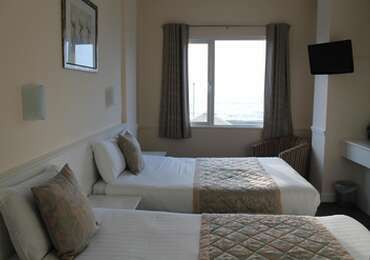 Sea view available at an extra £20 per night. Single bed with either a bath or shower. Flat screen TV, complimentary tea/coffee. Sea view available for an extra £5 per night.